Email hosting has been around for a long time. Not many may be aware of it, though, since most email users rely on free email services like Gmail, AOL Mail, and Yahoo! Mail. Businesses and professionals, however, may want to look into email hosting as it can possibly have some impact in the field of business. What changes are expected to affect email hosting in the year 2018? If you are planning to get email hosting in 2018, what do you need to be aware of? 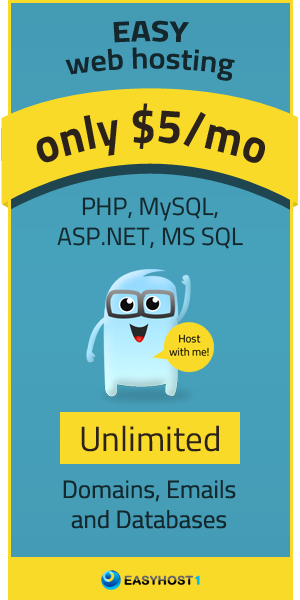 Why Get Paid Email Hosting? Before anything else, it’s important to understand why there are those who want to have their own custom emails. Why would they want to abandon feature-rich and tested email services like Gmail? The reason mainly boils down to the following: credibility building, branding, and being in full control. Businesses and professionals want to be taken seriously. Having an email address that bears the company’s domain name is one of the ways perceived to boost credibility. This is but logical considering that getting a domain name and a web host is not free. A business that invests in its own email hosting is most likely one that is seriously doing business. On the other hand, having an email address with a suffix that is the URL used of your business website is a good way to make it easier for people to remember your business. It’s one way of subliminally promoting your brand name. Moreover, having your own email system guarantees that you have full control of it. Running your own email server with your own domain may not be a simple process; but doing so gives you full control of your email. This means you get to decide on the amount of storage you allot for it and on what features to use. The advantage of email hosting, basically, are mostly summarized by the reasons for getting email hosting discussed above. It’s about establishing credibility, furthering your brand name, and being in full control. When it comes to the disadvantages in running your own email server, there are also a number of them to bear in mind. For one, email servers are complex. The usual email server involves the use of several software components. The more functions you want, the more software you will have to deal with. These include the mail transfer agent, mail delivery agent, IMAP or POP3 server, as well as the antivirus and spam filter. Additionally, maintaining an email server takes time. You need to continuously monitor the rules set for your spam filter and virus protection system. Also, you have to ascertain that all your software components to make sure that everything is working properly and that your system is adequately protected. These advantages and disadvantages haven’t really changed that much over the years. In 2018, these will be the same advantages and disadvantages you have to weigh as you make your mind up on whether or not to get your own email system. If you decide that you really want to have your own email server, don’t forget to check for the following features. ●	The Necessary Protocols - To have email flexibility, the email hosting company you choose should be able to provide IMAP/POP and SMTP access. IMAP and POP (also POP3) are protocols needed in accessing emails. IMAP is generally regarded as the better protocol since it is great for accessing emails through multiple devices, something most email users are likely doing. As emphasized by UK email hosting provider LCN, “IMAP is the preferred way of getting mail across desktop, tablet and smartphones.” With POP, emails are downloaded to a device and the server copy is deleted, so only one device can access the emails received. SMTP, on the other hand, is required for the delivery of emails. ●	Security - Needless emphasizing, your email system should be secure. As such, you must find an email hosting service provider that comes with virus protection and firewall features. It’s also an advantage if the email hosting service provider provides TLS encryption. ●	Spam Protection - This is a basic feature email hosting services should include. See to it that the spam protection system provided is reliable and efficient. ●	Email Filtering - Different from spam filtering, email filtering is the ability to organize or segregate your emails according to rules you set. This feature lets you sort emails as you receive them or sort emails you have received as you deem fit. ●	Customer Service - As mentioned, setting up and maintaining your email server can be a complicated and tedious process. You don’t want hiccups or glitches making things even more difficult especially if you are handling everything by yourself. You need to make sure that your questions, complaints, and concerns will be promptly addressed. ●	Other Features - Other features worth considering are autoresponders, email forwarding, and webmail. Autoresponders allow you to send automatic replies to emails you receive based on certain triggers. Email forwarding is a feature that lets you forward the emails you receive in one email address to another email address you own. This means you don’t have to switch to a new email account if you want to get emails using a different email address. Webmail, on the other hand, makes it possible to access your inbox using a web browser, which is basically what happens when you use the web-based interface of free email services. Decent email hosting companies can provide most of these features. Regardless of your location or the location of the hosting company you choose, most companies provide similar services. 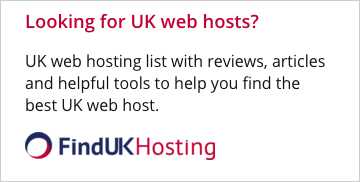 You can find a UK email hosting service provider, for example, with a package that includes TLS encryption, autoresponders, email forwarding, spam filtering, a user-friendly control panel, webmail, and 24/7 support. In 2018, the features mentioned above can be considered essential, especially if your intended email users are accustomed to the features being offered by popular free email services like Gmail. For the sake of comparison, here’s an enumeration of some of the top features of free Gmail: email forwarding, spam filtering, encryption, webmail, POP3 and IMAP, and the ability to install plugins. You can install an autoresponder plugin to Gmail as well as the ability to send emails according to a schedule (the Boomerang plugin, for example). Perhaps, the only thing it notably lacks is the ability to add your own domain name. It would be good to use these features as your guide as you evaluate the features of the email hosting service you are considering. Is It Better to Just Use the Enterprise Versions of Free Email Services? It can be said that if you want to avoid the complicated processes and tedious maintenance of maintaining your own email server, you can just use the enterprise/business version of free email services you have already been using. This way, you can change your email address to one that bears your domain name without having to go through the tedious tasks of setting the server up and doing maintenance. There are some email hosting companies, though, that can help you set your email server up with ease. If you find a company that provides competent and accommodating technical support, along with a good range of features, it may not be that difficult to set things up and maintain your own email server. Again, there aren’t that many changes in the way email hosting works in 2018 as compared to the recent years. If you are thinking of getting an email hosting service, you have to make sure that it is reliable and that it has the features you need. As much as possible, these features should correspond to what most email users are accustomed to using, particularly those being offered by widely-used email services like Gmail.